Hundreds of tourists gathered at The Avenue of Stars to watch colored lights beaming from Hong Kong Island, and teenage locals stood with signs offering free hugs. My Swiss friend and I drank champagne out of coffee cups, listened to Christmas carolers fresh from Church, and spoke of atheism. Around the corner, the courtyard of the Cultural Center glistened with holiday lights, and held in its center a giant pine tree shipped from a faraway continent beside two car-sized angels that sank and rose on pulleys. In a red auditorium, ten-year-old ballerinas danced on stage. The story of The Nutcracker came alive through mimetic dance catering to frequenters of Chinese opera, offering the most generous display of expression I had ever seen on a professional dance stage. Among the dancing “dolls” were a man and woman dressed in gold, representing the eroticisms of Ancient Egypt, who — in an astounding combination of acrobatics and ballet — and perhaps in light of Christmas spirit, enlightened the audience of the potential of human synchronicity by demonstrating how fluidly two human bodies might wind together like snakes. Christmas dinner was store-bought pizza consumed on the outdoor stoop of the largest Mosque on Kowloon Island. The rest of the night was spent drinking wine on the patio of a young Frenchwoman named Helene, who had newly come into money and made it her business to befriend progressive-minded ex-patriots. Small gifts were exchanged, and I became the benefactor of sumo bath salts. The sloppy-haired architect next to me: a necklace of fish skins dried to flavor Chinese medicinal soup. A forty-year-old identity-seeking Korean woman obsessed with Pakistan; the only self-proclaimed, “open-minded” person I ever met who actually made an effort to appreciate narrow-mindedness. A colossal Scottish man who initiated every conversation by insulting his own gender and who drank glasses of wine like shots of Scotch. A skull-capped man of indiscriminate age who spent his life wandering between professions. After reaching a recent point where he needed change in his life, he abandoned his apartment in the south of France and sought adventure abroad. He recalled the joys of his previous employment as a plumber: specifically of witnessing peoples’ gratitude as he fixed water problems of every variety, as if by saving his customers from their shame and discomfort he had actually saved their lives. A man of small stature, his cloud of cigarette smoke blew up larger than his face. Looking out at the buildings of Kowloon, he spoke fondly of the smiles of his customers, most of whom he would never forget. Of all the people present that night, this rugged friend had the most refined taste in pastry. In my friend’s apartment in Kowloon, we popped open beers next to fake valuables we bought at the Buddhist shop around the corner. 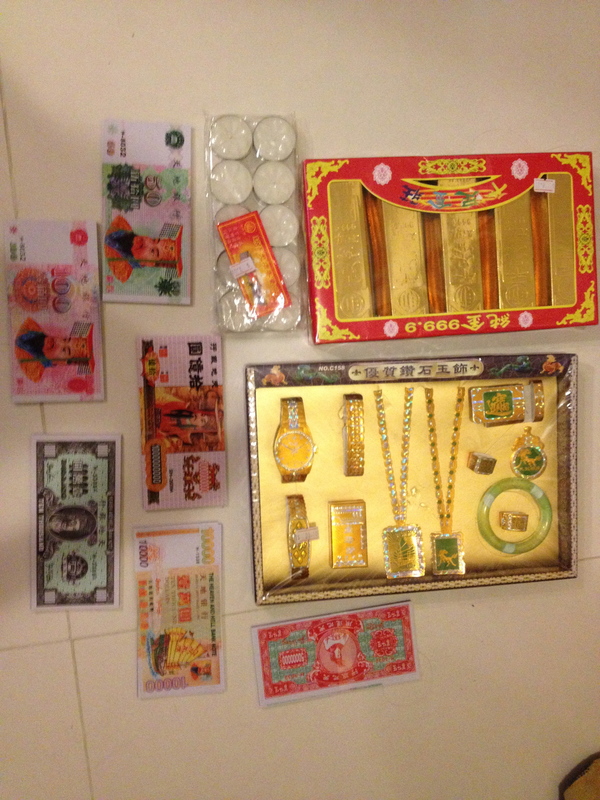 Among the valuables were cardboard gold slabs, paper jewelry, and counterfeit money. The Chinese residents of Hong Kong purchase items like these to burn for their ancestors, often lighting up additional paper tuxedoes, watches, umbrellas, and even motorbikes so that their loved ones might stay comfortable in the next realm. Stefanie and I knew little about ancestor-worship. Still, we made every effort to create a New Year’s bonfire as holy and as shrine-like as possible. I wrote a letter to my dead grandparents—Stefanie to “Love”—in which we communicated our concerns and gratitude. 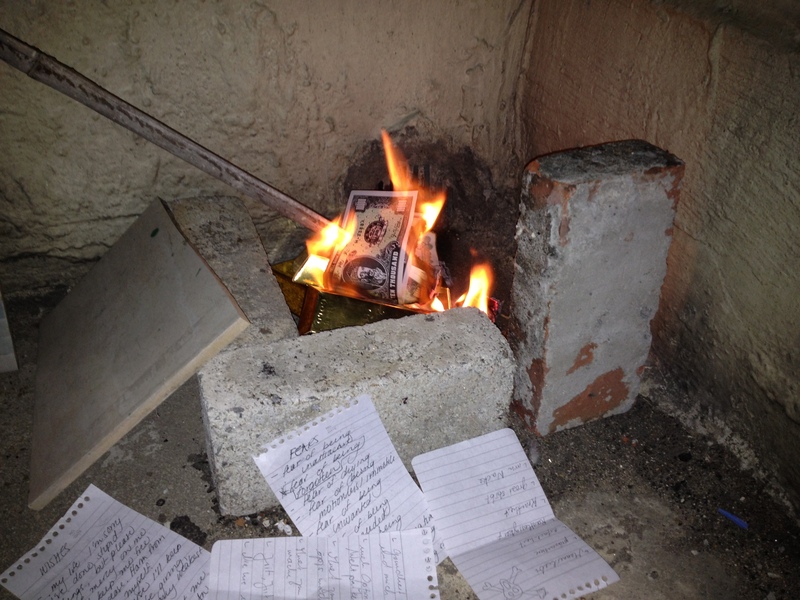 We made a list of our fears we hoped might burn away along with the expired year. 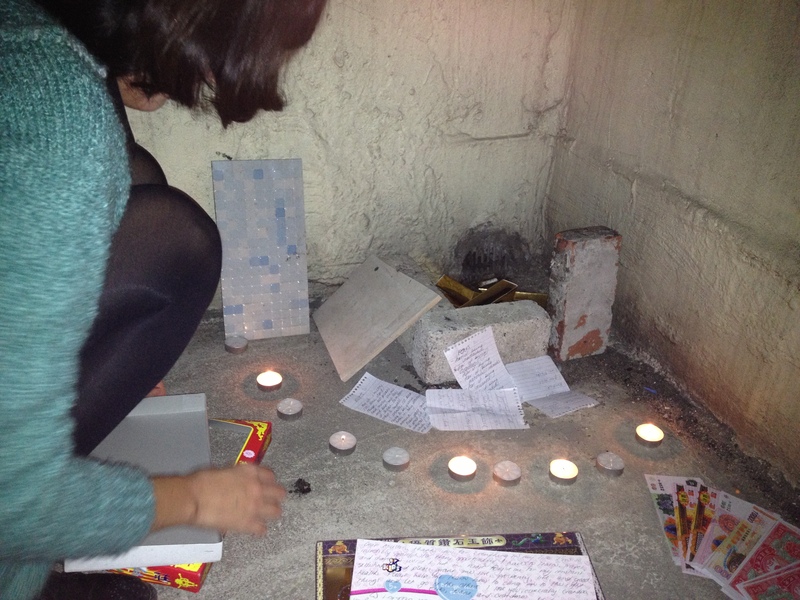 On the roof of Stefanie’s apartment building, we gathered cement bricks into a corner and arranged a sort of fireplace. 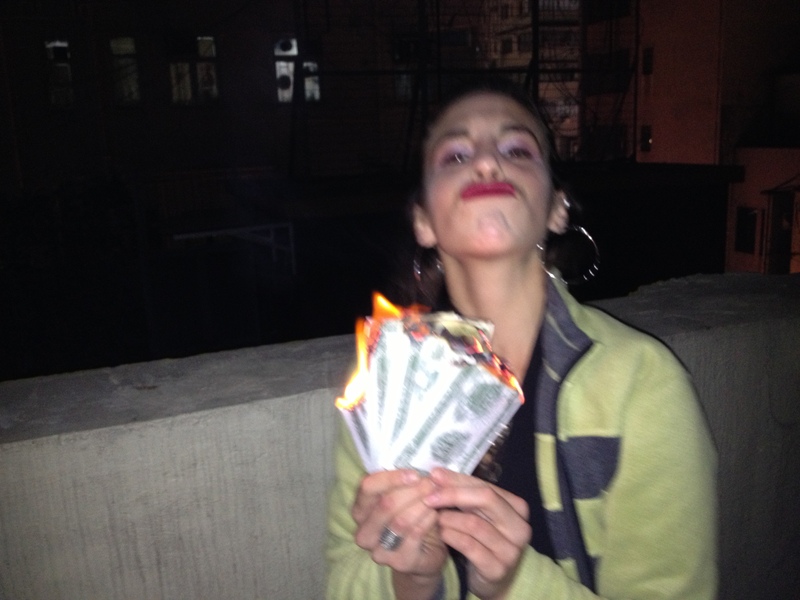 There we started a flame with counterfeit money. One by one, we added our valuables to the fire, watching with relief as the flames ate away at the plastic-coated riches that earlier, even in their paper state, seemed too pretty to burn. The letters to our respective otherworldly addressees were the last to go, along with our fears, which – if only our psyches made it this easy – blackened into nothing within a matter of seconds. The entirety of this ritual seemed both a purge and a tribute, and, something I originally had not foreseen, a commitment to humility and change based on principles I had earlier been been too passive to implement. 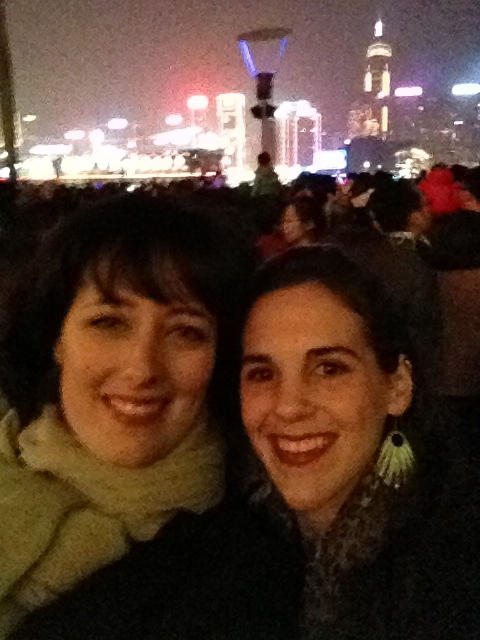 Stefanie and I strolled with the crowds in Kowloon smelling of burnt plastic, each holding large bottles of Champagne. 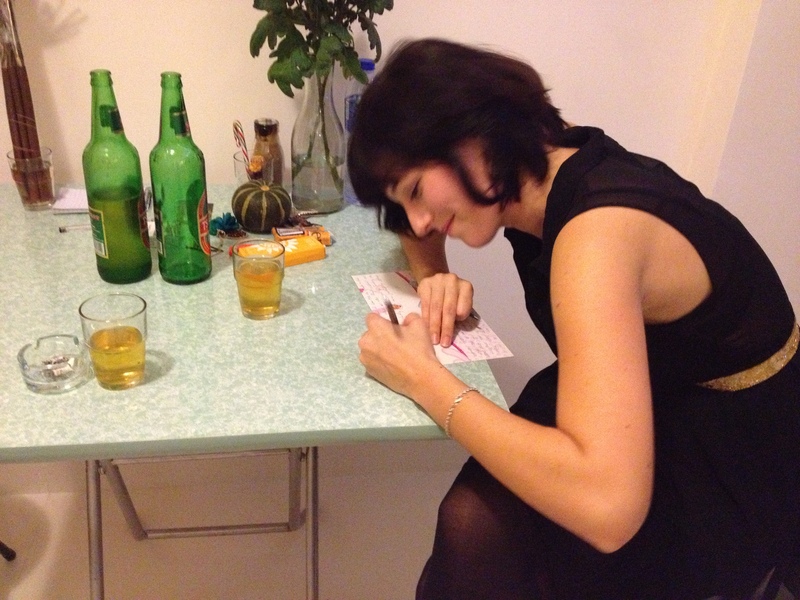 By the time we reached Helene’s house, it was almost midnight. 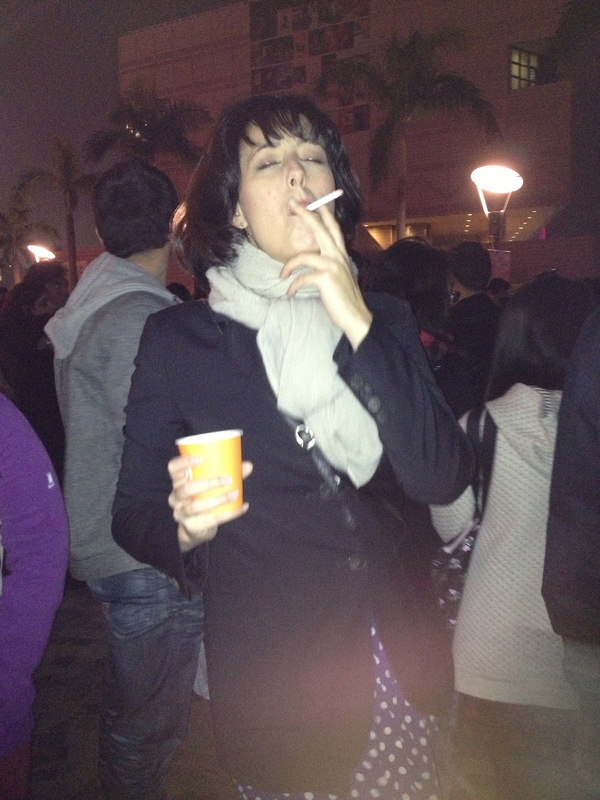 When the New Year finally arrived, we yelled from the balcony and toasted to the crowds howling below us on the streets. We took a Star Ferry to Hong Kong, where we wandered around bars overflowing with half-dressed women who sparkled. At last we found ourselves at the top of a large corporate building in Hong Kong, where we sang Karaoke with a Hong-Kongese colleague of Stefanie’s whose two companions kept sneaking away to fornicate and snort cocaine (God knows where). We kept the girl company by eating her friends’ peanuts, singing along to classic rock, and looking out at the VIP view of Hong Kong Island, which still glimmered at four in the morning. 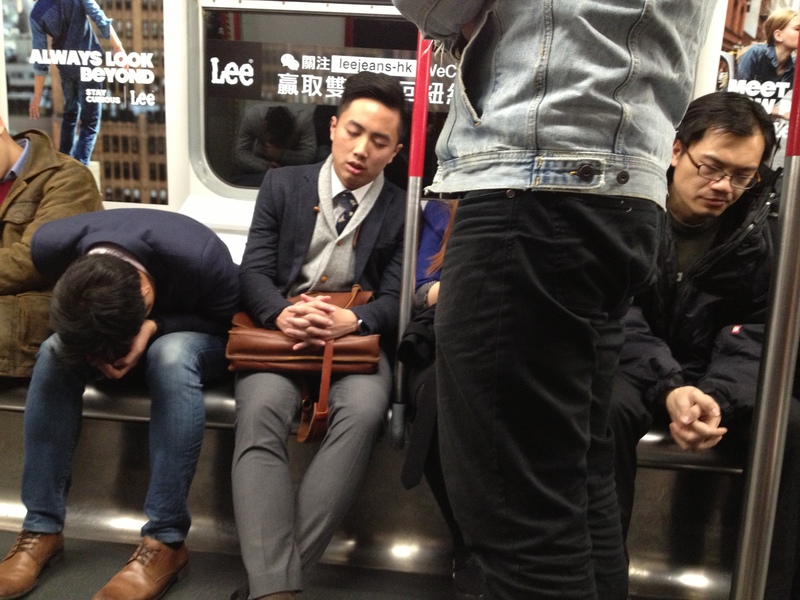 When it was time to leave, we realized that the male cokehead had left without paying. 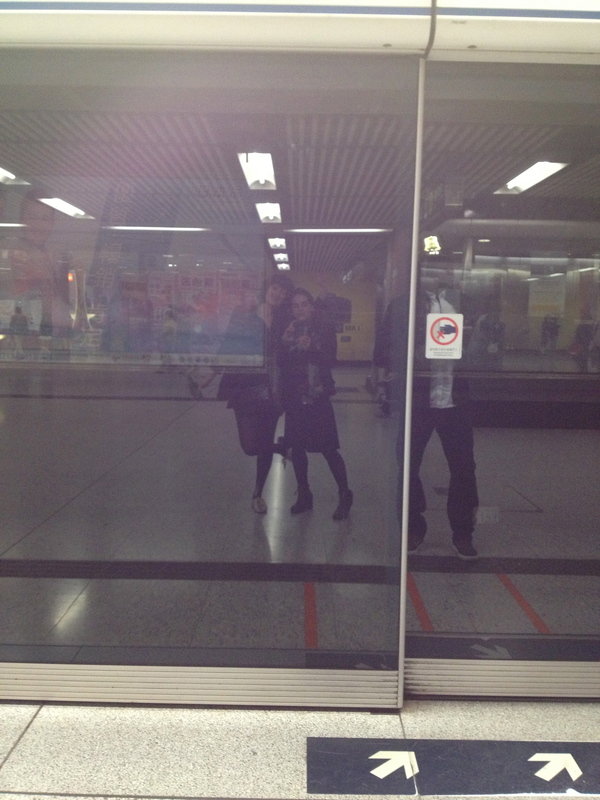 Stefanie and I hopped on an underground railway that ran all night. When we got onto the tram, we saw that most of the passengers could not sit upright and so drooped in various positions in their seats. Stefanie watched them, nursing a beer she propped casually on her thigh. Stefanie and I walked the rest of the way to her apartment holding hands. I stumbled into bed at 6 am and woke up with a large wire snowflake clutched to my chest. I love it all –especially the fire burning bits of comfort for one’s ancestors, as well as one’s fears. Thank you!